One of my firm’s key practice areas is handling criminal and civil appeals. 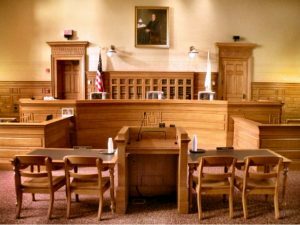 An appeal happens when a party loses at trial, either because of a judge’s decision or a jury’s verdict, and wants to try to challenge the outcome. This area of practice is highly specialized because special rules and procedures apply that are very different from those at the trial level. I have over a decade of experience representing parties in post-trial matters. I am currently a member of the Committee for Public Counsel Services Criminal Post Conviction and Appeals panel and the Children and Family Law Appeals panel. Take a look at the representative cases page for a small sample of some of the Appeals Court decisions that I have litigated. If you are an attorney and need to refer an appellate matter, or a person or business who needs post-trial or post-conviction relief, please give my firm a call. The defendant was accused of operating under the influence of alcohol. The arresting officer claimed that the defendant was heavily intoxicated, though the Commonwealth presented no evidence of field sobriety tests. The defendant was convicted, and KPDM Law LLC was retained to review the case for appeal. After a thorough review of the transcript, and conducting an eyewitness interview, it was discovered that trial counsel had neglected to thoroughly interview a key witness who was present at the scene of the arrest. Although trial counsel did speak to the witness, she stopped asking the witness questions after the witness confessed that she did not witness the field sobriety tests. 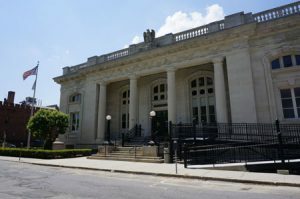 Had trial counsel inquired further, she would have discovered that the eyewitness spoke to the defendant at the scene of the arrest and could have disputed the officer’s testimony that the defendant was intoxicated. In a Motion for New Trial, we argued that trial counsel was ineffective in failing to properly conduct the witness interview. We argued that trial counsel’s failure was not strategic or tactical, but rather a failure to properly investigate the case that deprived the defendant of effective representation. The trial court agreed and allowed our Motion for New Trial. It can be very stressful to get notice that someone is pursuing a claim against you in an automobile accident case. There are several important things you should consider when that happens. First and foremost, be sure that you have reported the accident to your auto insurer. If you are a Massachusetts or Rhode Island resident, your insurance carrier has a duty to appoint an attorney to represent you in an actual lawsuit providing you have properly reported your accident. Another important consideration is how much insurance coverage you have. If you do not have adequate coverage, your personal assets can be at risk. In that type of situation, it may make a lot of sense to retain counsel independent of the attorney appointed by your insurance carrier. That is because there is a conflict of interest between you and the insurance carrier – they are concerned with minimizing their loss on the case, not with protecting you. As an auto accident attorney, I get this question a lot. If you drive an automobile in Massachusetts, you already know that you are required to carry insurance. But how much insurance should you carry to protect yourself in the event of an auto accident? 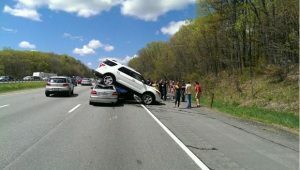 In Massachusetts, the minimum requirement is only $20,000 per person, $40,000 per accident. That means if you cause an accident, and the other party is injured, you are only protected up to $20,000 if that person pursues a claim against you. If two or more people are injured, the coverage is only $40,000. As you can imagine, this is a very small figure when it comes to personal injury cases. In serious accident cases, it is not uncommon for medical bills alone to exceed $100,000. If the injured party misses time from work, that party can come after you for lost wages, as well as pain and suffering. If you don’t have enough insurance, the injured party can put liens on your home, seize your car or other assets, and levy against your bank accounts. The best way to protect yourself is to get good coverage and an umbrella policy. Typically you can get $1-2 Million in coverage for a lot less than you might think. If you lack insurance coverage, or want to review whether your coverage is adequate, please contact me and I can set you up with a great agent who can make sure you have the coverage that you need. I’m happy to report that the Massachusetts Superior Court rendered a favorable decision based on a brief that I wrote in an eminent domain case. This eminent domain case involved the Somerville Redevelopment Authority’s takings of multiple parcels of real property in the Union Square area. The City of Somerville made the takings in connection with an expansion of the MBTA’s Green Line, as well as a redevelopment of the Union Square area. The owners of the parcels, one of whom I represented, disputed the amount that the City of Somerville tendered when the City took the properties by eminent domain. 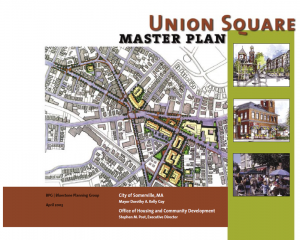 The City of Somerville argued that based on the “project influence rule,” the value of the properties should be determined based on valuations in 2003, when the project to revitalize Union Square was first announced. The City sought to exclude any evidence of valuations of the property after 2003. That interpretation of the project influence rule would essentially freeze the property values at 2003 levels. I, along with attorney John S. Leonard, drafted briefs opposing the City’s interpretation of the project influence rule. The court denied the City’s motion, and agreed with our interpretation of the project influence rule. The Court ruled that our client’s evidence regarding the value of the properties at the time of the taking was admissible, and could be considered along with the City’s evidence. That meant that our clients could argue that the properties taken by the City should be valued closer to their current values, not their 2003 values. The full text of the court’s decision is available here. My Health Insurer Doesn’t Pay Chiropractic, What do I do? If you’ve been injured an an automobile accident, and require chiropractic treatment, you may find that your health insurer offers limited or no coverage for chiropractic care. However, this does not mean that you cannot get the care that you need. In Massachusetts, Personal Injury Protection (PIP) benefits are available through your car insurer to pay for chiropractic visits, copayments, and other medical expenses that your health insurer may not cover. At KPDM Law LLC, we work with your health providers to make sure that your medical bills are properly addressed, and that you can get the care that you need. If you’ve been injured in an automobile accident, contact us at 617-804-5736 for a free consultation. In Massachusetts, drivers are required to carry Personal Injury Protection (PIP) benefits, which pay for, among other things, medical bills relating to an automobile accident. Recently, insurers have found a way around this requirement by allowing their customers to opt for a PIP deductible. While it may seem like a good thing to lower your insurance bill, it could be a costly mistake. What most consumers do not know is that if you have private health insurance in Massachusetts, that insurer will not pay for medical bills relating to an automobile accident until PIP coverage has been exhausted. If a consumer signs up for a PIP deductible, that means the consumer is on the hook for the first $2,000 or more of medical bills before their insurer even starts to pay any medical bills. Do not make this costly mistake. You might think that insurers who offer PIP deductibles should better explain this situation in Massachusetts so that consumer understand the coverages they are getting, and those they are not. 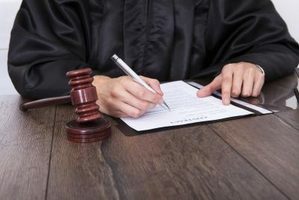 You might be right, as one insurer recently settled an $8 million class-action lawsuit alleging that the insurer improperly advised consumers regarding PIP coverage. 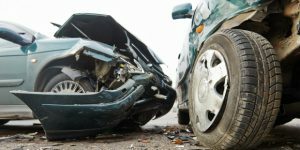 If you have been injured in an automobile accident, and you have a PIP deductible on your policy, there are ways to address the problem. Contact KPDM Law, LLC and let us help you. In an car accident in Rhode Island, who pays my medical bills? In Rhode Island, all motorists are required to carry Medical Payments coverage. Medical Payments coverage, or MedPay, will pay for your medical bills if you are injured. However, if you have health insurance, your health insurance will typically pay your medical bills, which means MedPay and health insurance in Rhode Island often overlap. However, MedPay can be used to pay things that your health insurance may not cover, such as copayments. If MedPay does pay for part of your medical bills, the MedPay carrier has the right to be reimbursed out of any personal injury recovery you obtain from a third party who caused your injuries. That means if you get a personal injury settlement, you have to pay back MedPay for your medical bills. Typically, the same rule applies to your health insurer as well. It is important to retain competent, experienced representation when dealing with automobile accident injuries to ensure that your medical bills are properly addressed. Furthermore, an experienced attorney will help you achieve the maximum recovery by negotiating with your MedPay insurer and your health insurer to reduce the amount you have to pay back. 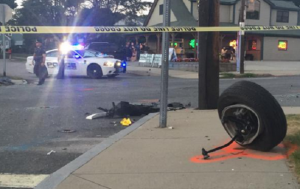 If you’ve been injured an an automobile accident in Rhode Island, please contact KPDM Law, LLC today at 617-804-5736. In an car accident in Massachusetts, who pays my medical bills? In Massachusetts, the question of who pays for your medical bills if you’re involved in an automobile accident is not as straightforward as it might seem. If you have health insurance, you may assume that your health insurer will take care of your bills. However, this is not completely correct. In Massachusetts, all motorists are required to carry Personal Injury Protection (PIP) coverage, which provides $8,000 of coverage for medical bills, copayments, and lost wages. If you have private health insurance, your health insurer will not pay any of your bills until PIP has paid the first $2,000 worth of medical bills. The rules are different if you are on Medicare or MassHealth, as these insurers require that PIP pay the full $8,000 in benefits before they pay any medical bills. This interplay between PIP and health insurers can lead to all sorts of problems, as health care providers will often try to bill the wrong insurer. This scenario often leads to your health insurer or car insurer denying coverage, and collection notices being sent to you, the patient. Therefore, even if you are reluctant to file a claim for your injuries, it makes a lot of sense to hire a lawyer to sort through the insurance issues. You may even get a check for pain and suffering for your trouble. If you’ve been injured an an automobile accident in Massachusetts, please contact KPDM Law, LLC toay at 617-804-5736. Often, and particularly in landlord tenant matters, business owners will try to represent themselves in Court. In the legal world, we call this pro se representation, and it is usually driven by the cost of hiring an attorney. While individuals are allowed to represent themselves in court, corporations or limited liability companies cannot do so, except in small claims cases. See Varney Enterprises, Inc. v. WMF, Inc., 402 Mass. 79, 79 (1988). If a corporation or limited liability company owner tries to appear in court on behalf of their company, the company can be defaulted. As a practical matter, this means that if you are a landlord, but your business is run through a corporation or limited liability company, you must hire an attorney to pursue an eviction or respoind to a lawsuit. Likewise, if a customer or vendor sues your company, you must hire an attorney to represent the corporation or limited liability company or you risk a default. If the court defaults you, it means the other party has won the case. A default can subject you or your company to monetary damages. If you do get defaulted, you should seek an experienced attorney immediately. It may be possible to get the default removed and the case reinstated, but this requires quick action by competent counsel. In fact, the best legal advice anyone can give you is to retain competent legal counsel whenever you interact with the legal system. While it may seem expensive at first, in the long run a good attorney will save you headaches, financial pitfalls, and allow you more time to focus on what you do best.